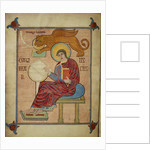 The evangelist St Mark is shown writing, accompanied by his traditional symbol, a lion. 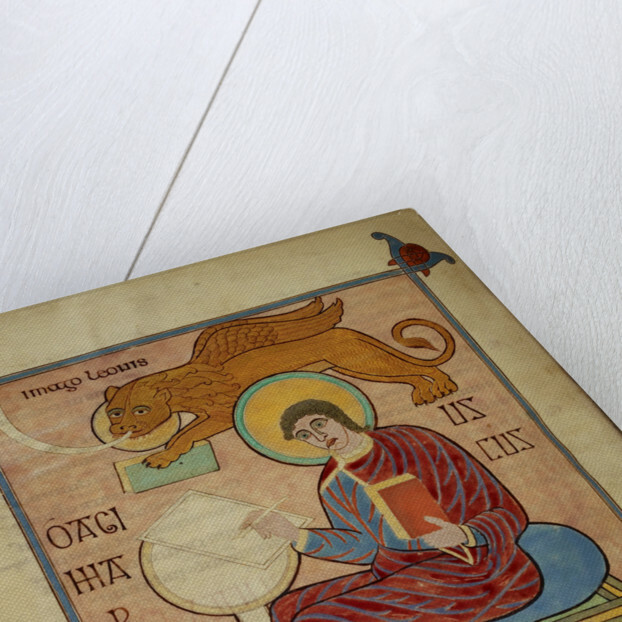 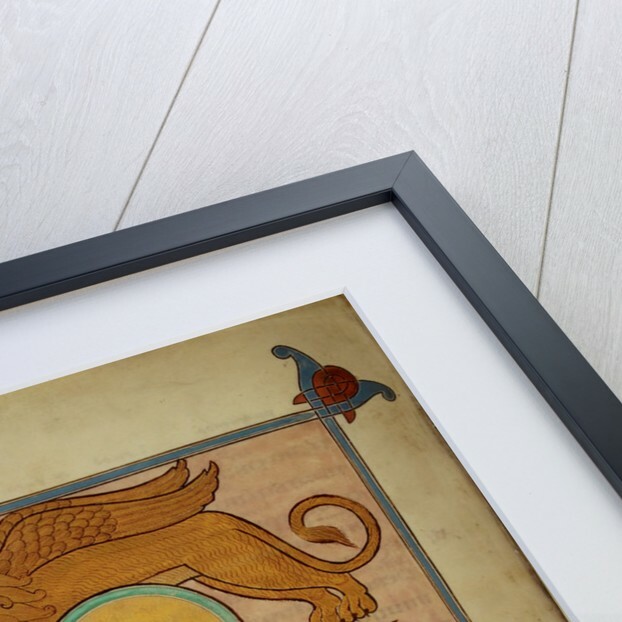 The Lindisfarne Gospels is one of the most magnificent manuscripts of the early Middle Ages and was written and decorated at the end of the 7th century by the monk Eadfrith, who became Bishop of Lindisfarne in 698 and died in 721. 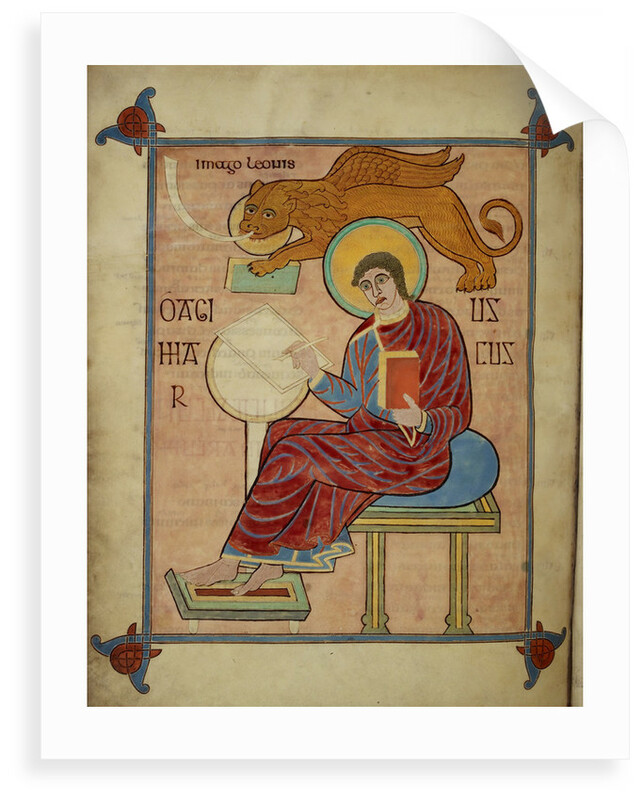 The Latin text of the Gospel is translated word by word in an Old English gloss, the earliest surviving example of the Gospel in any form of the English language, it was added between the lines in the mid 10th century by Aldred, Provost of Chester-le-Street. 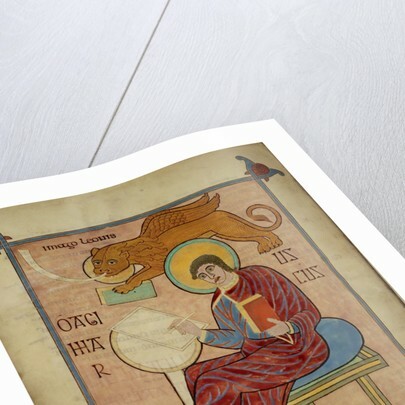 Cotton Nero D. IV, f.93v.